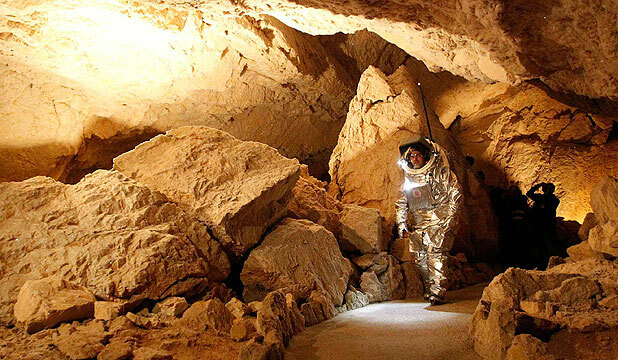 Scientists were out of this world on Tuesday about tests in icy Alpine caves of the technology needed for a mission to Mars one day. "We have learned an infinite amount in the past three days," project leader Gernot Groemer from the Austrian Space Forum said of the 11-nation field test in the Dachstein region near Salzburg. Scientists picked the area - which Groemer called a "scientific playground" - for experiments because ice caves would be a natural refuge for any microbes on Mars seeking steady temperatures and protection from damaging cosmic rays. His Austrian team was developing space suit technology, while other crews tested three-dimensional cameras, radar, rover vehicles, communications and sterile testing systems. "If we were on Mars looking for traces of life, it has to be done so cleanly we are sure that if we find something it is from there and not a stowaway from Earth," he said. Now it is back to the lab with results of the experiments before another large-scale field test in the northern Sahara desert in February. But the teams still have time. "We hope and expect the first real Mars expedition will take off in the next 20 to 30 years," he said, estimating that gave his team 15 years or so to have the technology ready.